Keyframe has been involved in Electronic Music Culture since the 90’s as a dancer, music label owner, event promoter, film producer, artist manager, and has worked with the Ultra Music Festival. Keyframe is thrilled to share the sonic gems uncovered over decades of exploration. Keyframe values shamanic chill sounds filled with complexity & harmony. His music selection spans many different cultures and weaves intentional mellow grooves with psychedelic overtones. Keyframe has played many Burning Man sound camps, epic camp-outs, Ozora Festival in Hungary and many Bay Area underground venues. Keyframe is also the Executive Producer of “Electronic Awakening,” a film that explores the spirituality of Electronic Dance Music. He is also the Associate Producer of “The Bloom Series: A Journey Through Transformational Festivals and “The American Jungle”. Keyframe’s “STARMAN” (from IAMEVE) remix project has been featured on EDMtv and OneEDM. 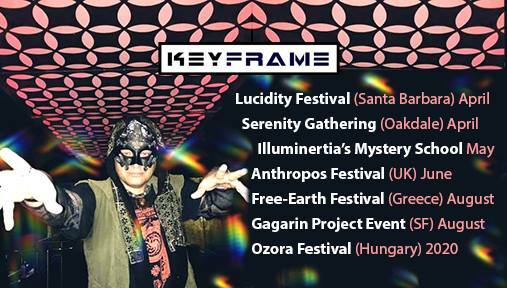 In summer 2018, Keyframe also attended Ozora festival, where he gave a presentation on how Artifacts of Festival Culture inspire transformation. He also screened the ‘Amplify Her’ film at BOOM Festival in Portugal, and is an active supporter of films on the culture (as well as the creator of the online film screening platform, Keyframe-Cinema). Keyframe is also the Executive Producer of ReInhabiting the Village, a community book project co-created by an alliance of visionary partners sharing knowledge and resources to build resilient and interconnected communities working together towards a bright tomorrow. If you have a special event and would like to book KEYFRAME to play PsyChill, PsyDub, Psybient, or Downtempo, please contact Natacha .at. keyframe-entertainment.com. Keyframe is featured in TribeXR’s DJ School – Viveport Developer Stories video and will be playing at Lucidity 2019. 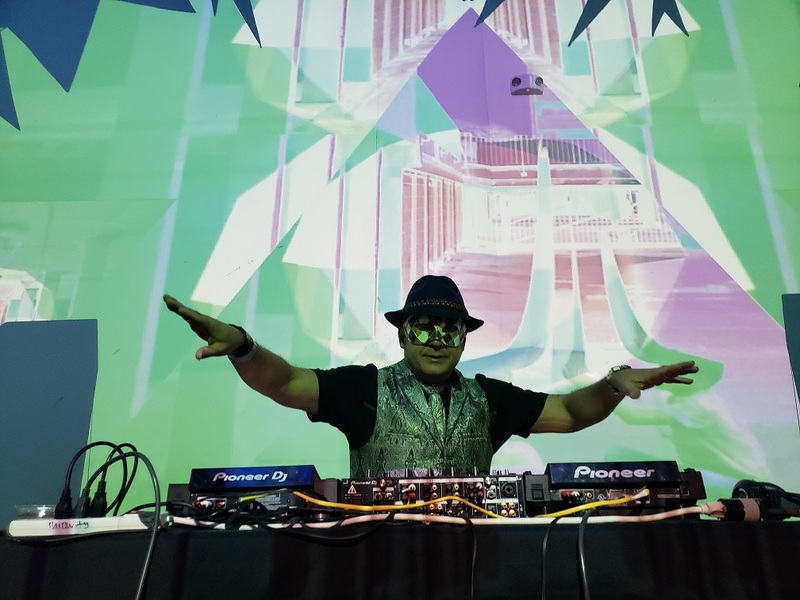 Tribe XR is an immersive VR application for aspiring and seasoned DJs. Play, learn and perform with our pro mix deck. Tribe XR features a fully functioning pro-style CDJ mix deck. Upload your own music and refine your own unique sound. DJ Keyframe puts TribeXR to the test!